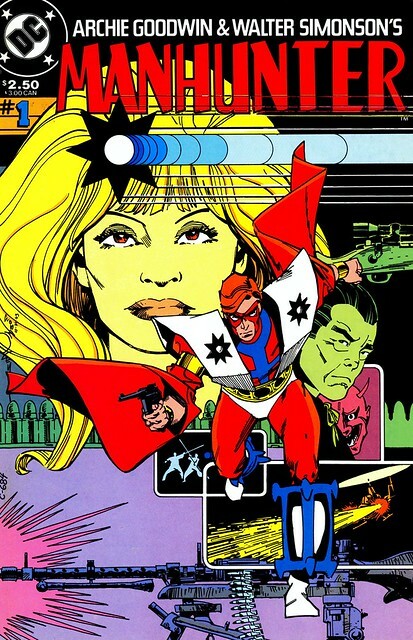 Walt Simonson has done many things over his career, but I'll always have an excitement around Manhunter, the classic revamp that he did with Archie Goodwin in the 1970s. This is one of those rare characters that DC has left untouched since Goodwin and Simonson killed off the character in Detective Comics #443. 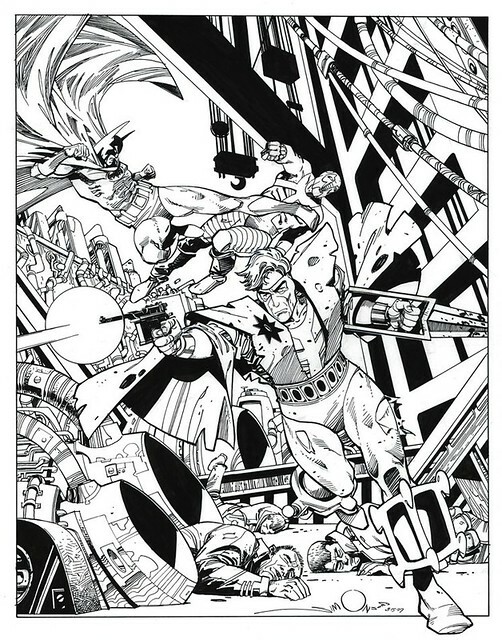 Simonson did finish off a silent story epilogue in the Manhunter Special Edition 1999 (where the above pinup comes from), but he's also done some commissions and covers. 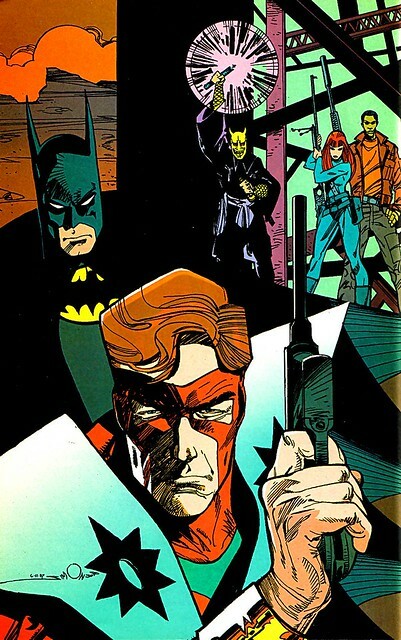 Simonson didn't draw the cover to Detective Comics 443, Jim Aparo did. 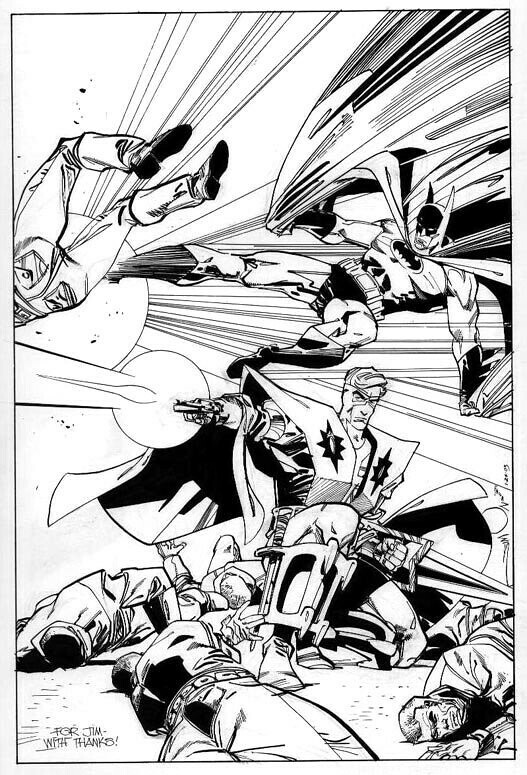 Here's Simonson's take on that cover, featuring Batman and Manhunter fighting together. It was done for Jim Warden on ComicArtFans. A 14" x 17" epic Manhunter illustration donated by Walter Simonson to the Help Dave Simons drive I am helping with. According to Walter this is the first time he has drawn Manhunter since the series he worked on with Archie Goodwin and the only Manuhunter piece of this quality in the world. And here is a cover from the 1984 Baxter reprint of the Manhunter saga. Nuff Said! Link: Jim Warden's Gallery at ComicArtFans. Link: David Mandel's Gallery at ComicArtFans. Link: Robert Shaw Manhunter piece and comments.